One of two surviving St. Petersburg residences of the monumentally wealthy Yusupov family, the Yusupov Palace on the Moika River is perhaps most famous as the scene of the assassination of Grigory Rasputin, and is one of the few aristocratic homes in the city to have retained many of its original interiors. Monday: 11.00 a.m. - 17.00 p.m.
Tuesday: 11.00 a.m. - 17.00 p.m.
Wednesday: 11.00 a.m. - 17.00 p.m.
Thursday: 11.00 a.m. - 17.00 p.m.
Friday: 11.00 a.m. - 17.00 p.m.
Saturday: 11.00 a.m. - 17.00 p.m.
Sunday: 11.00 a.m. - 17.00 p.m.
Yusupov Palace is one is one the main historical sites a top attraction in St Petersburg. The Palace was built in the mid of the 18th century for the Shuvalov family and was owned by the Yusupov family in the 19th century. 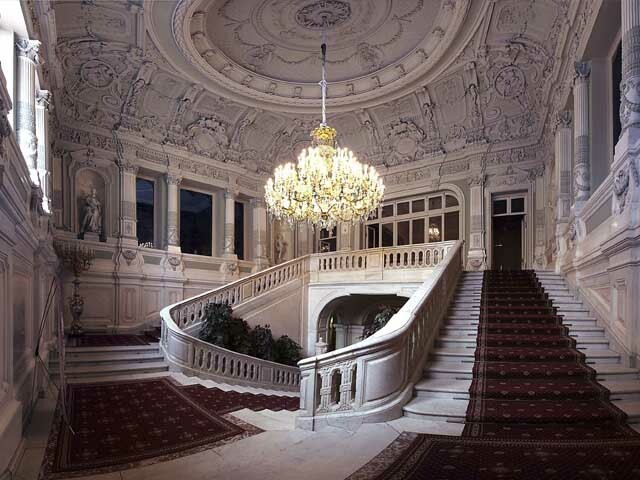 The Palace is one of the few examples of an aristocratic mansion. It is famous for its art gallery, luxurious theatre, music room, and the private quarters of the Yusupov’s family, and it remained in the ownership of the family until seized by the Bolsheviks in 1917. Originally Yusupov Palace was built for the niece of Peter the Great, Princess Praskovia and in the mid-1740’s it was merged with a larger mansion belonging to Count Pyotr Shuvalov. Count Shuvalov was a politician and had a large influence during Tsarina Elizabeth’s reign. The Count would host lavish parties and private balls in the Palace and was a part of the Shuvalov family until his son, Count Andrei, sold the mansion to the government. Eventually Empress Catherine gifted Yusupov Palace to Countess Alexandra Branitskaya in 1795. The Countess was the wife of Crown Hetman of Poland and owned the Palace for nearly 35 years. At this point the mansion was sold to her relatives in the Yusupov family for 250,000 Rubles on March 5, 1830. 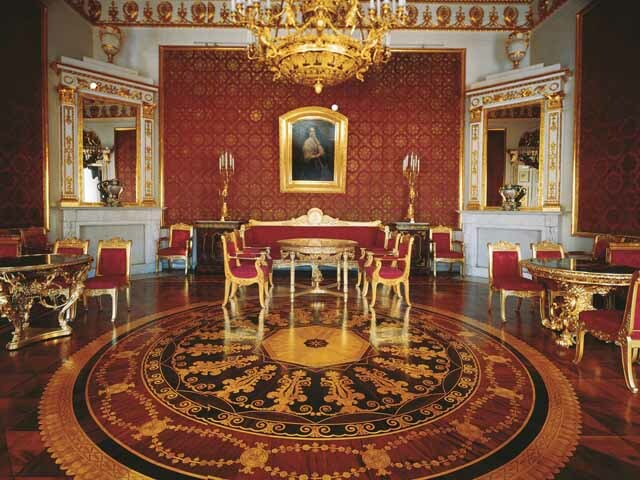 Once in the hands of the Yusupov family, the Palace was remodeled in a more classical style and enlarged to include an art gallery, banquet room, a garden pavilion, greenhouses, and a new three-story eastern wing fitted in true Russian Empire style. In the early 1890’s the Yusupov family again ordered changes to the mansion by famous Russian architect Alexander Stepanov. Stepanov added water, heating, sewage, and electricity to modernize the mansion. 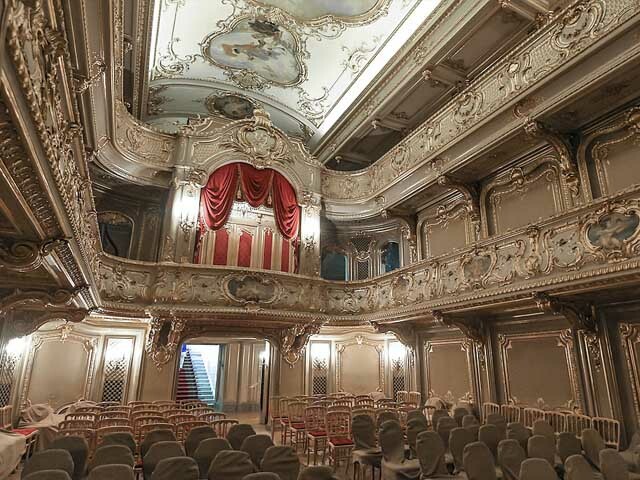 The most famous addition of Stepanov was the private theatre which is still in use today for special theatre performances. After the October Revolution, the palace was handed to the educational authorities, which fortunately opted to preserve many of the original interiors and used the building as a type of clubhouse for the city's teachers. 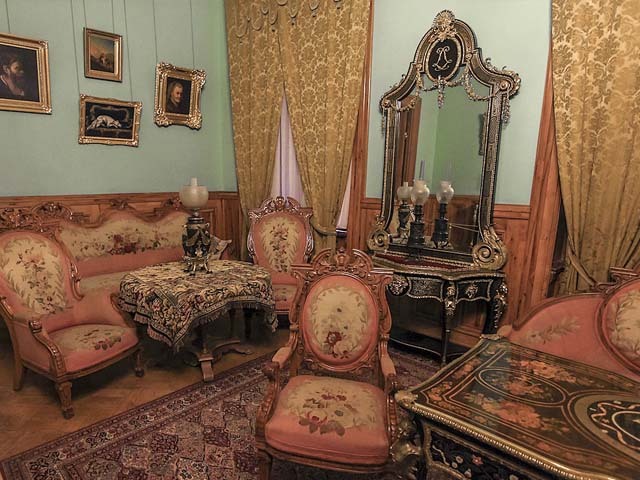 Over the years many of the rooms have been meticulously restored to give tourists the feeling of a lifestyle reserved for a few elite families in St. Petersburg. Naberezhnaya Reki Moyki, 94, St Petersburg, Russia. St Petersburg Tourist Guide. St Petersburg Travel Guide and Travel Information. Sightseeing tours and Shore Excursions in St Petersburg! © Copyright BienvenidoSPB Tours 2016 | All rights reserved.